Defenders: The Coming of The Defenders 1, 2011 “The Return” | Magazines and Monsters! After a short break from posting (due to that absurdity called “work”), I’m back with a look at one of my favorite books of all time! 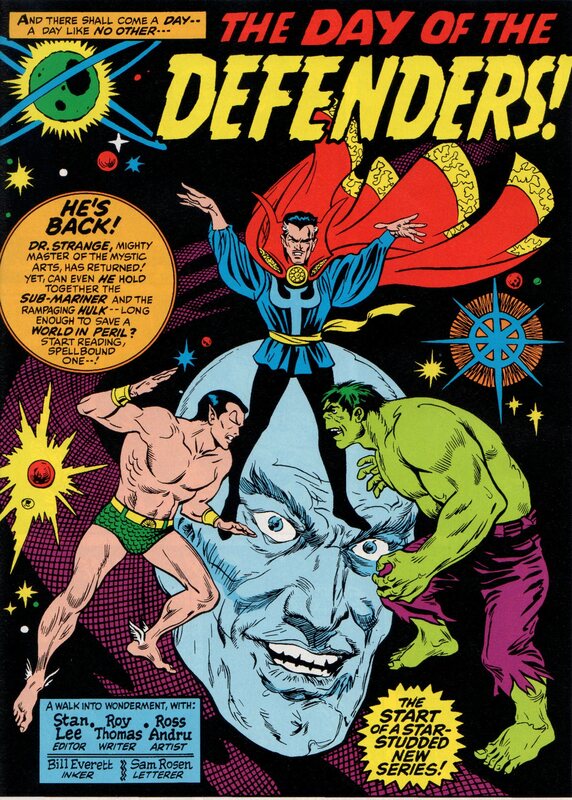 Yes, and even though it’s a reprint, it still holds a huge place in my reading trophy case because it shows the formation of my second favorite team, The Defenders! 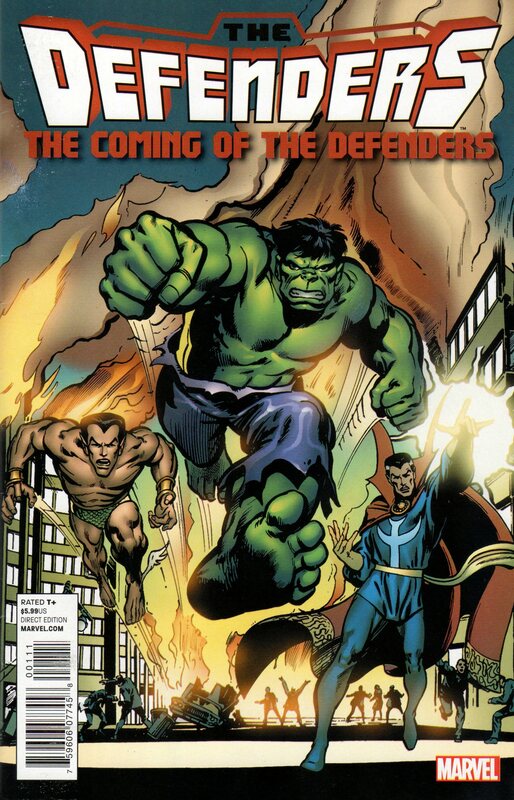 To help pump up readers for the new series that came out that year (2012), Marvel reissued some of the classics that showed what an awesome team The Defenders were! The story shows how Dr. 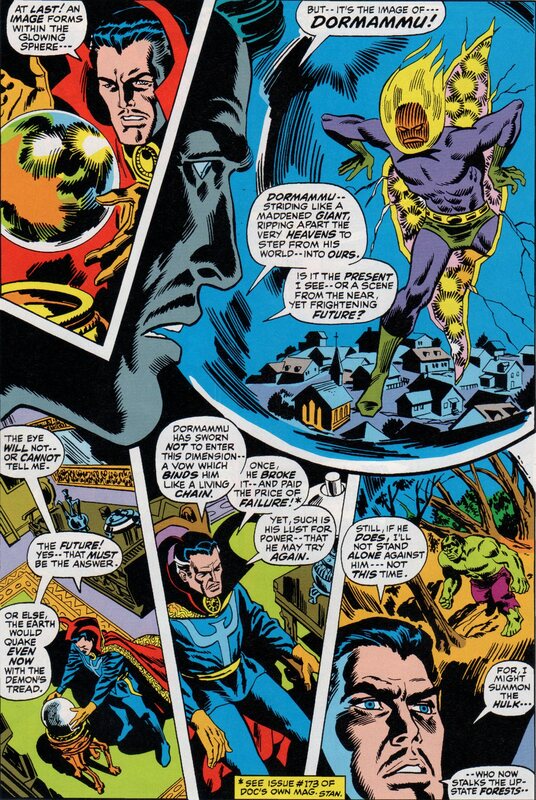 Strange faced an almost impossible situation, and called upon Namor and The Hulk to help him combat it (he actually peered in on the Silver Surfer, but he was knocked unconscious). 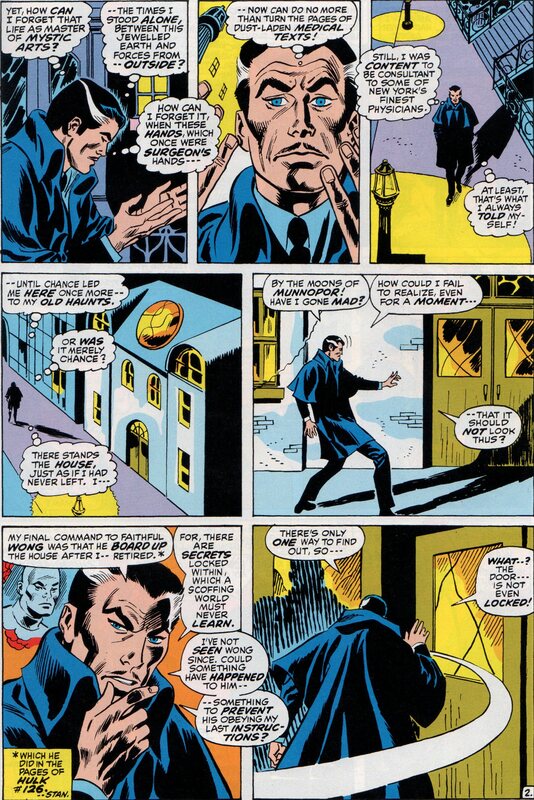 From the mind of Roy Thomas (writer), we get the beginnings of a most unusual, but also incredible teams in Marvel comics. 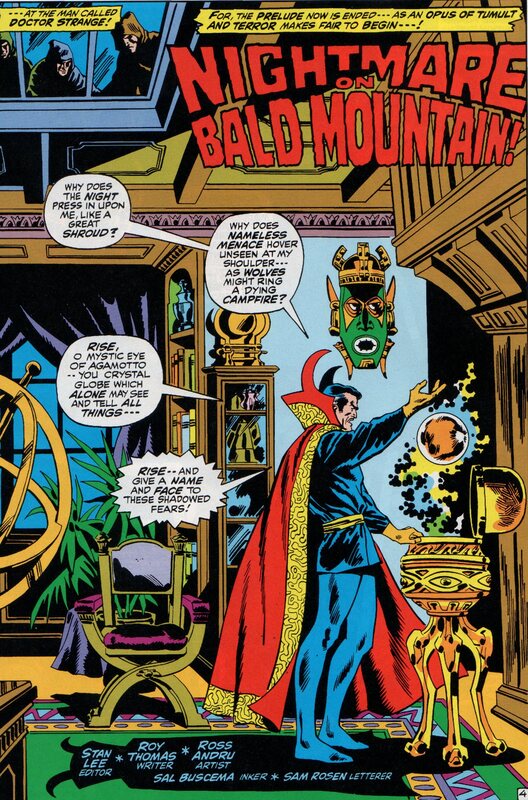 Once the tam got their own title, and Steve Gerber began writing, it really went to another level. For now though, Thomas delivered the goods, as he just about always did in his career. 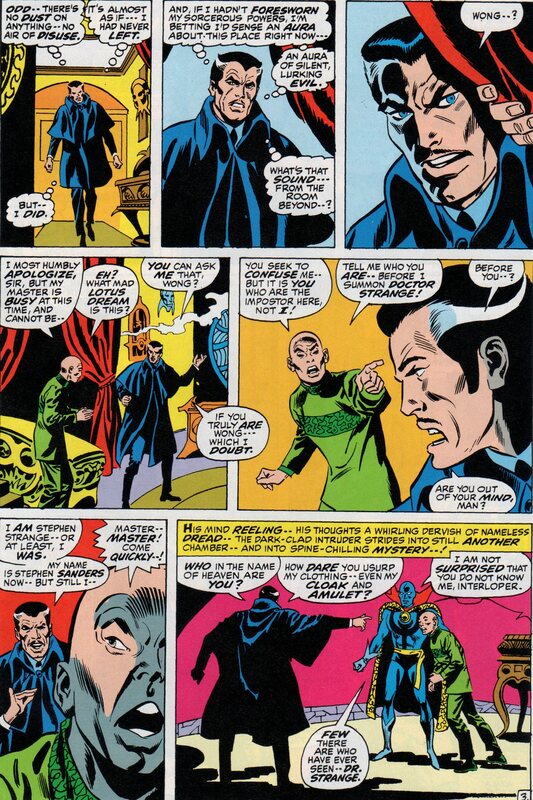 The penciling chores were handled by two masters, in Ross Andru and Don Heck (Heck did the backup story in issue 1 of Marvel Feature, showing us the return of Dr. 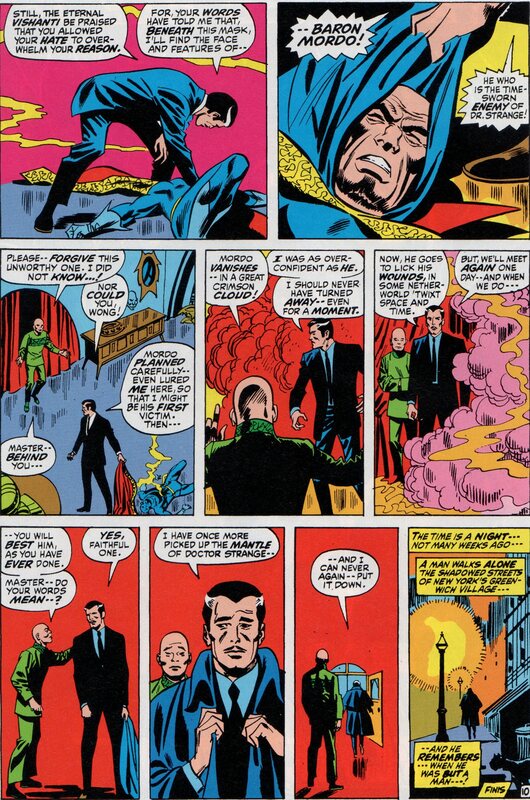 Strange, Andru penciled the rest). 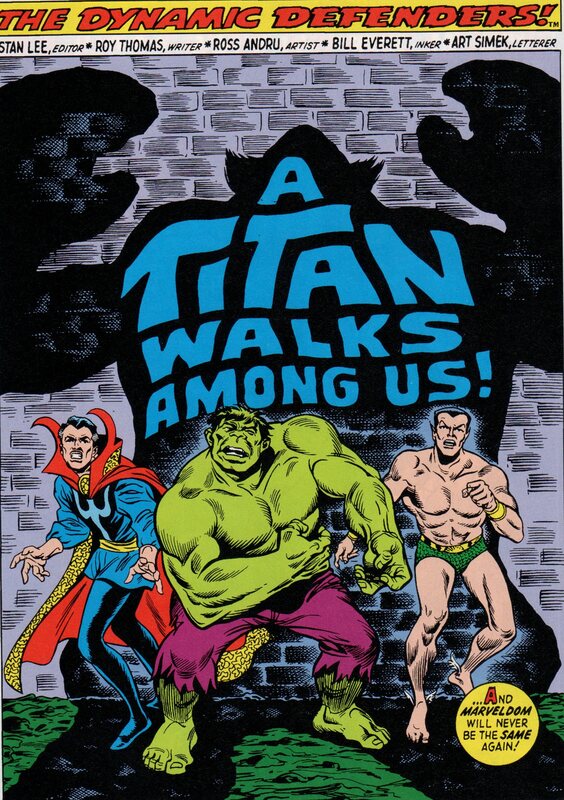 As if those two giants weren’t enough, you get inks by Bill Everett, Frank Giacoia, and Sal Buscema! 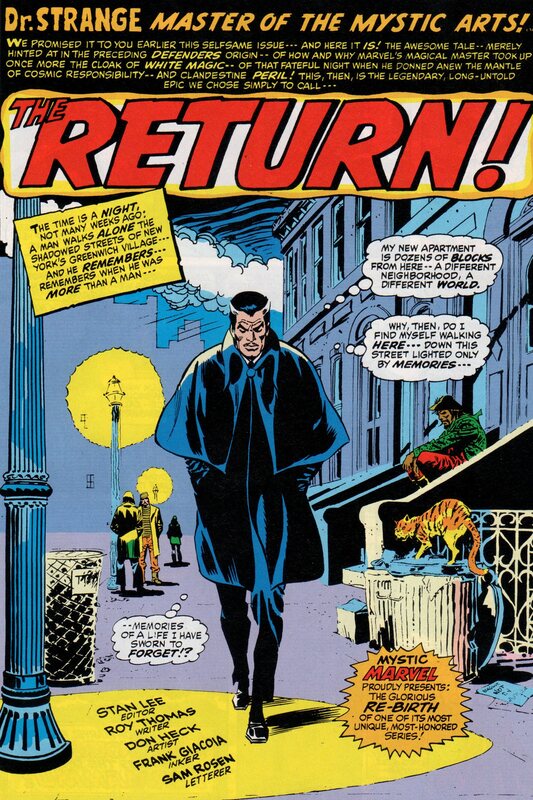 Letters by Sam Rosen and Artie Simek, and edited of course, by Stan Lee (cover by Neal Adams). 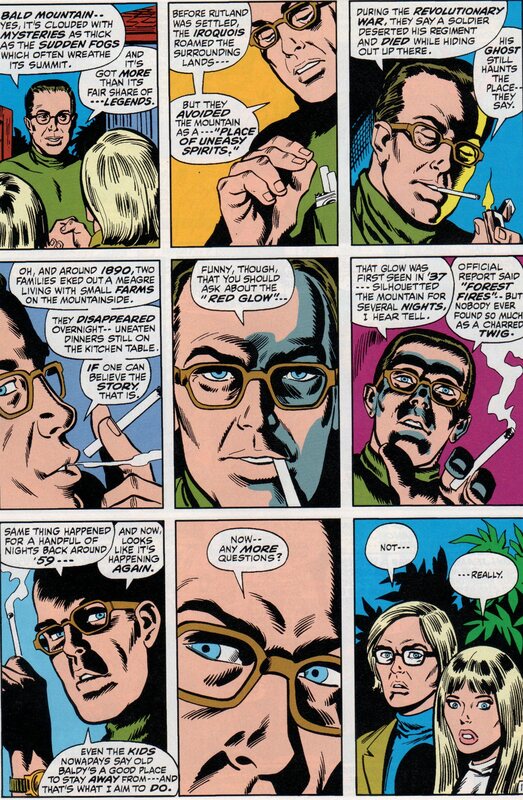 I believe that the young guy with blonde hair & glasses and the young woman with blonde hair in the final panel of the next-to-last page you have scanned are supposed to be none other than Roy Thomas and his then-wife Jean.